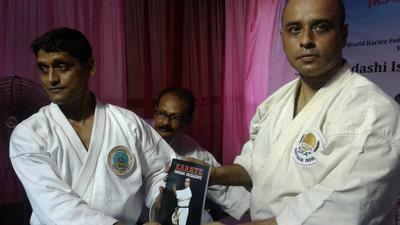 Arijit Chakraborty, 6th Dan Black Belt WTSKF, National special Correspondent - WMA. Kolkata, May 6, 2018. Training was conducted by Shihan Subrata Kumar Ghosh (President and Chief Technical Director and Examiner of International Hayashi-Ha Shito Ryu Karate-Do Federation of India / Martial Arts of Karate-Do Association of India) Vice President - (IHSKF) World Body. He had joined in this IHSKF Federation in the year 2014. He is the affiliated member and country representative, in India, in the name of International Hayashi-Ha Shito-Ryu Karate- Do Federation of India (IHSKFI). Shihan Subrata is certified & confirmed GO-DAN (5th Dan Black Belt- IHSKF, USA), by Hanshi Julius Thiry (President / Chairman of Technical – IHSKF World). 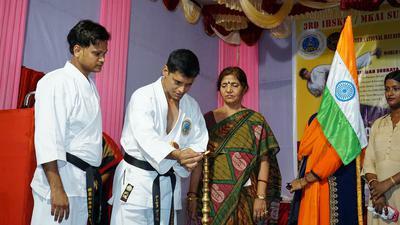 It is a most prestigious world karate rank, which he achieved from the mother Federation. Also, he is one of the Vice President from Asian Continent and Examiner for IHSKF World. He feels very fortunate that he entered in one of the world biggest IHSKF Karate Federation and have got such a great World class Master Hunshi Julius Thiry. 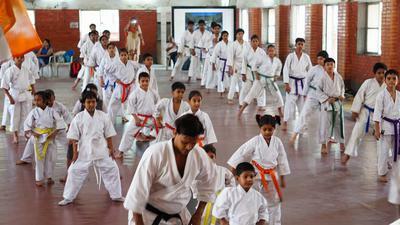 Out of his 37 years of karate experiences, he was trained under many world class of different styles of karate masters. But, Hanshi Thiry is the best in his knowledge. It is his responsibility to develop IHSKF in India and today he is doing it earnestly. In the camp he taught kihon, Shito ryu kata and special kumite combinations. 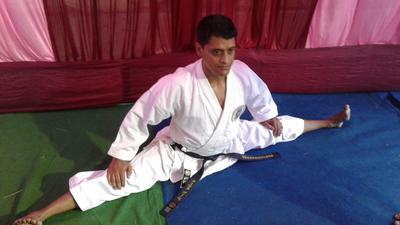 Shihan also stressed on makiwara and bag training to build up stamina, power & timing. It is a great opportunity for me and my organization as International Hayashi-Ha Shito-Ryu Karate-Do Federation of India (IHSKFI) and Martial arts of Karate-Do Association of India (MKAI), to be one of the article parts in the Dynamic-Karate team. I am conveying my special thanks to Sensei Arijit Chakraborty to reported and post into the above-mentioned team part. Also, I am sending of my heartiest thanks to all the Dynamic-Karate team and wants to keep the very good relationship in future forever. Also, I am sending to all the respected Masters for Happy Teachers Day (5th September) in advance. Please send me your regular report of any Martial Arts news.